This year the Chinese new Year falls on Jan 31th but Li Chun comes only on 4th February. So the Lunar year starts couple of days ahead of the Solar Calendar. 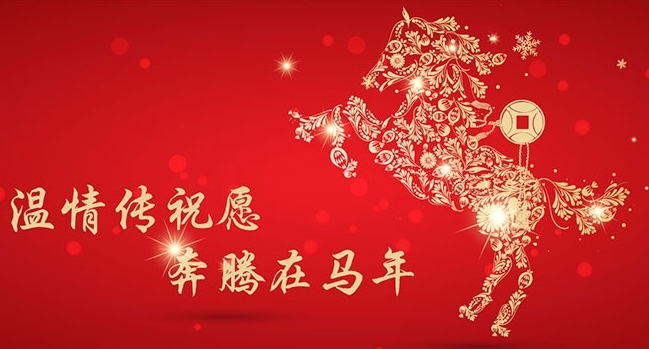 Firstly, I would like to wish my readers a Happy Wood Horse Year and May this Year Bless you with abundance Wealth and great Health! 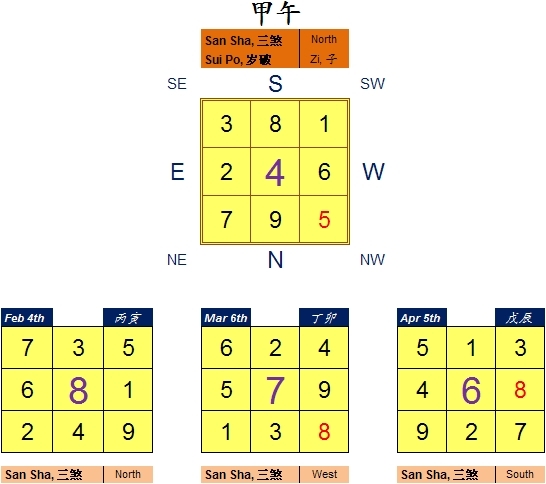 As we enter the month of February or rather the month of Yin (寅), I have made up this chart to help guide practitioners on the monthly flying star chart. A quick highlight for quarter one is particular bad for House facing NW where both Yin and Chen month will be unfavourable. February is also particularly bad for NE facing house while March is detrimental to East Facing houses. Now this is just a one of the layer of interpretation while there are many layers to tell. If you have already learnt, this should be easy for you but if you are a rookie, yes it can be a little challenging. The better option for rookies is either to engage a consultant to check your house out or better still learn it yourself. Anyway knowledge gained will stay for a lifetime. Previous postCase Study – South Facing An Inauspicious Facing? Next postMan and Gratitude Has a Place in Feng Shui?